Personality differences have always been a subject of study – researchers yearn to crack the code on deciphering behavior and possibly predicting it as well. Seemingly, findings on the personality differences between “cat people” and “dog people” follow popular belief. As a lover of all animals and devil’s advocate, the research seems to be biased. Because many of these types of personality studies don’t seem to have a good control factor and the way they were conducted is incredibly vague, I take them with a grain of salt. Cat people tend to be introverted and socially inept according to researchers. They dislike outdoor activities such as hiking. They are often bookworms (or, nowadays, gamers). Perhaps they have a very small group of close friends. In reading between the lines, this conclusion shows unforgivable bias on the part of the researchers. Being popular or having a wide circle of acquaintances is not necessarily a positive trait and being a homebody shouldn’t be framed negatively. To say that cat people tend to be more sensitive and open-minded than dog people is a big leap to make and a dangerous one too. Being “sensitive” and “open-minded” are themselves subjective and debatable. While I may think someone is quite open-minded and sensitive another person may find that same person closed-minded and insensitive. Another article states that dog lovers tend to be “rule followers.” The parameters used to make this meaningless determination are unknown. What about the thousands of pit bull lovers who have done whatever was necessary to keep their dogs in an anti-pit bull community or those who have gone against their HOA rules to keep two or three rescue dogs under their roofs? I think we can find a comparable number of both rule breakers and followers among cat lovers and dog lovers. Being intellectually curious is a cat-person trait according to the research. On the other hand, the same research states that reason and logic tend to prevail more with dog people. I don’t really see how the two are mutually exclusive; ancient and contemporary philosophers from Socrates to Kierkegaard used reason and logic to explain their beliefs. One of the more inexplicable findings was that dog people tend to be right-wing because they like the feeling of being submitted to by a dog. Cat people tend to be left-wing because they see everything and everyone on an equal level. I always pause at studies trying to create a dichotomy of left-wing and right-wing people based on extremely tenuous notions. As someone who works in animal rescue and deals with animal lovers of all types, I can tell you that dog lovers and cat lovers come in all shapes, colors, sizes, temperaments, IQs, and political ideologies. What About Those Who Like Both? 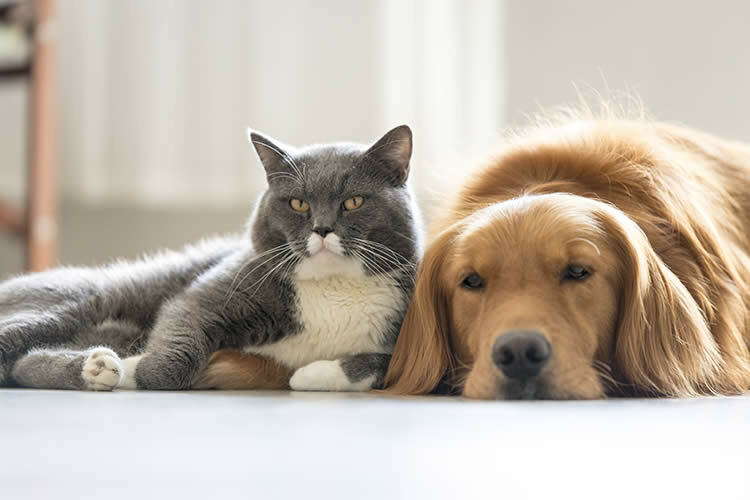 People who like both cats and dogs equally were eliminated from the study. Perhaps, those of us who don’t discriminate in our love for animals are blessed with the best traits of both dog and cat people. One point the research doesn’t appear to consider is that cat people and dog people are each divided into subgroups. There are people who only like small, fluffy dogs and some who like large dogs. I’ve met many people who only like lapdogs and I suspect they have more in common with a cat person than a pit bull lover. Bottom line – cat lovers and dog lovers may have differences but psychology can’t define them. Just like many unproven hypotheses there are too many variables to weigh. In the end, one can only conclude that a cat person loves cats and a dog person loves dogs. There’s nothing else that can be inferred 100% of the time. Making assumptions about personality or IQ built around a few feeble hypotheses is dangerous. Humanity has been trying to get away from stereotyping others in such a superficial way and what I feel are pseudo-studies only set us back.